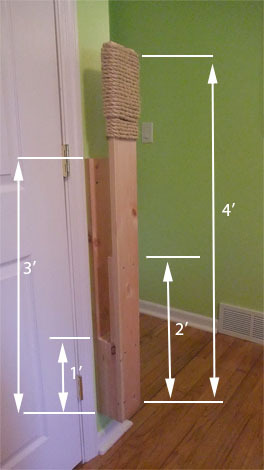 The construction is very simple, required almost no tools and materials were off the shelf from local Home Depot. The board is mounted to the wall and extends from it only 5 inches yet allows board to bend in when punched. It produces good solid sound when hit. The tension can be adjusted by varying the length of the large piece or by hitting it higher or lower. The padding is cheap rope wrapped around the board and is quite rough – I am still using a towel hanging over it, but I hope that with regular practice I will be able to hit it bare handed. 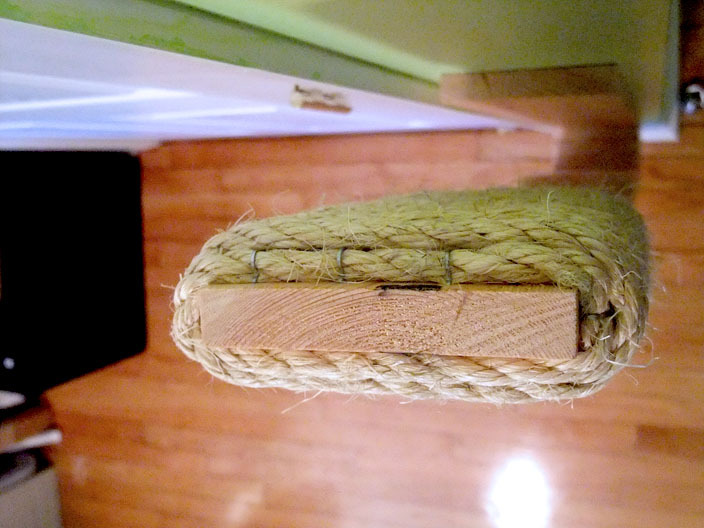 Wrap the rope around one end of 4 ft board. Use staples at the start and the end of the rope. So that’s all there’s to it. Few words of warning: make sure you know what you are doing and start easy as you can injure your hand very easy – I was so excited when I built it I was hitting it with all I got until the skin came of off my knuckle. Now it wasn’t anything bad but it prevented me from doing anymore punches until it healed up which took about 3 weeks. So be forewarned. I hope you find this info useful. This entry was posted on April 2, 2010 at 9:06 pm and is filed under Uncategorized. You can follow any responses to this entry through the RSS 2.0 feed. You can leave a response, or trackback from your own site. Do you live at a house or apartment? I’m wondering how would my neighbors react to the sound generated by this thing. Does bend to the point where it hits the wall? The board does not touch the wall when i punch it (you might be stronger than me). It did originally when it had only one short board in the middle so i added two more. I will try to get some meaurements on the noise levels shortly. 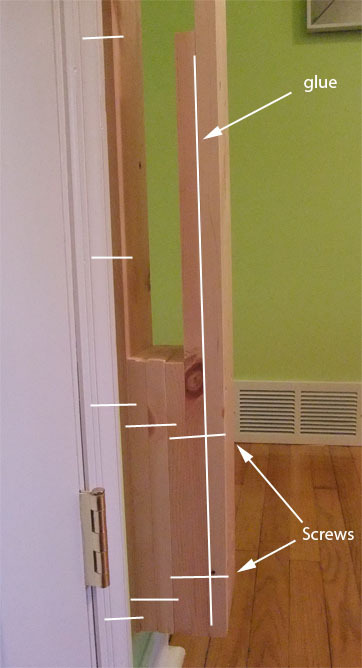 I live in the house and this is an internal wall – it’s actually mounted on the side of the closet, so there’s even more space and walls between the board and the living space. I trained with a Japanese JKA Instructor and he had a similar arrangement bolted to the dojo floor. The makiwaras had canvas covered pads on them from a karate supply store. 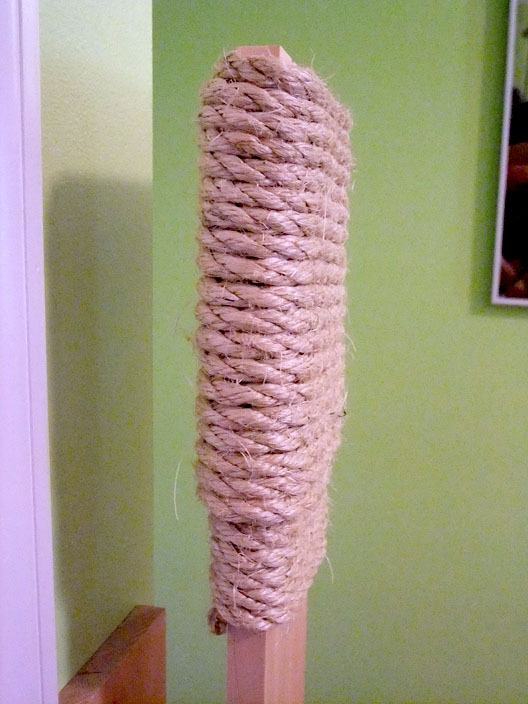 I think the sisal rope is too severe. The board is a training device not an ego toy. It’s purpose is to improve stance, body connection, focus on target and a lot of other things along the way. It is meant to be a slow…. steady process. Concentrate on correct form and just barely hitting the board. Try to be aware of your body when you strike the board,making sure all —parts are tense on impact,arms, legs, hips, both hands, etc. Slowly over months all these areas will be stronger and more co-ordinated and the punches will become stronger as a side benefit. After about 3 months of on and off training i’ve finally been able to hit the board with no towel padding. 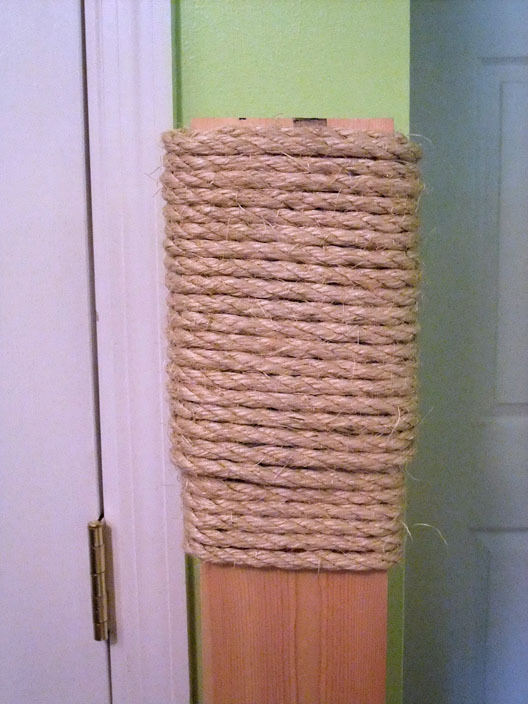 Sisal rope is indeed very rough but on the other hand it provides a clear indicator and satisfaction that my skin and knuckles have strengthened. Also, the bottom of the board started to peel of the wall when being hit, so extra few screws on the bottom would be beneficial. I’m curious about the makiwara. Is it still hanging on the wall? Is it stable enough or does break away from the wall even with extra screws at the bottom. I made my first one but it snapped in the ground. I planning to copy yours (thanks for idea) but put 5 degree taper board 1″ thick so that extends towards you as your train with it. What you have any suggestions/improvements if you were to make another one. Makiwara is still hanging. I didn’t put any extra scows yet since it comes away from the wall less than quarter of an inch. Interesting idea about putting the board at the incline – are you trying to make the top of the board extend farther from the wall or is there another reason? I am still not hitting my board hard since it still hurts so ip don’t think io will break may board any time soon. Also, from what i read makiwara training is not about the force but rather form, concentration and strengthening of wrist and I still have long way to go. Let me know how your project works out. I really like this Makiwara project. I’ve just built one using this model and works great. A couple of changes: since I’m in the Caribbean I used treated wood. I installed it in a roofed terrace but still is outside. I also had to use concrete screws since I was anchoring it to a cement wall. Works great! Like this idea so much I made my own one today out of an old sturdy pallet. Had to scale it down slightly as longest planks were a little short of 4ft. I installed it in my garage and it works a treat. Thank you for posting this! The safest way to hit a rope makiwara is not “twisting” type blows which will tear off skin but straight vertical hits with the 2 large knuckles. I’ve trained that way for about 40 years and can strike pretty much anything without pain/damage. By the way, thats a terric looking makiwara you built…..well done! Is there a video showcasing the Makiwara and how it handles? I tried out you design, got it all done, hit it and busted the wall behind it and pulled it out from the bottom of the wall. I motified your design a bit and dropped it down to the floor to get screws in the base plate, which made it more secure. Thank you for this awesome design, Aleksey. My son is going to love this.